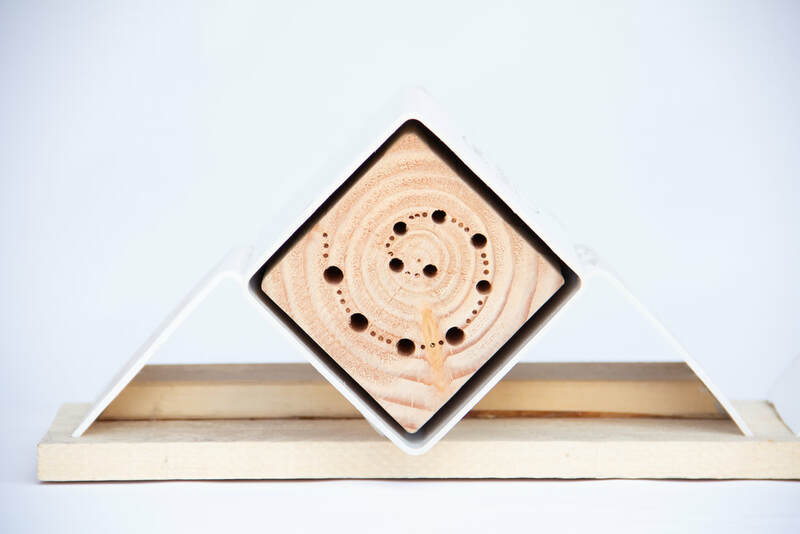 solitary native bees bring us those and more, we are building them these beautiful homes. 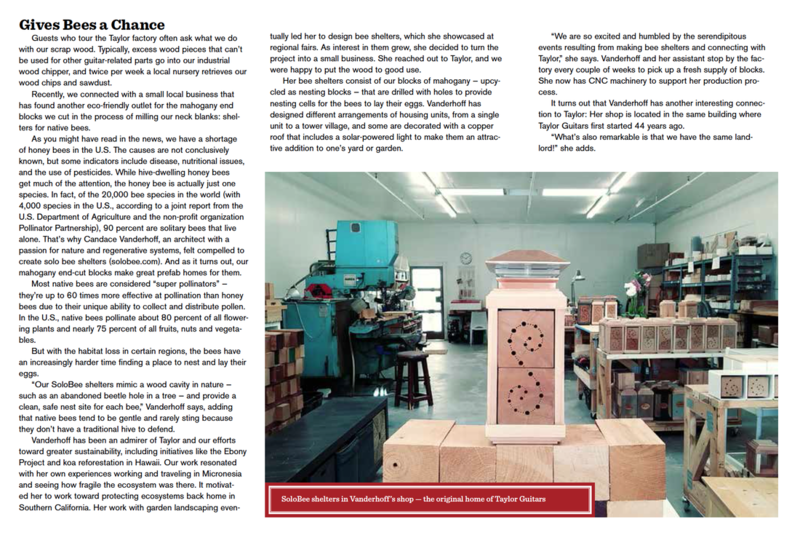 Solitary native bees live alone, rarely sting and pollinate 75% of our food. Our shelters provide a tunnel cavity perfect for nesting. Just set out a shelter for native bees to call home. 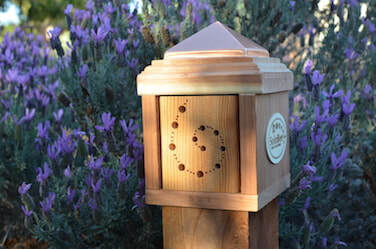 Join the Bee Map, All shelters and numbered &mapped - Map here. 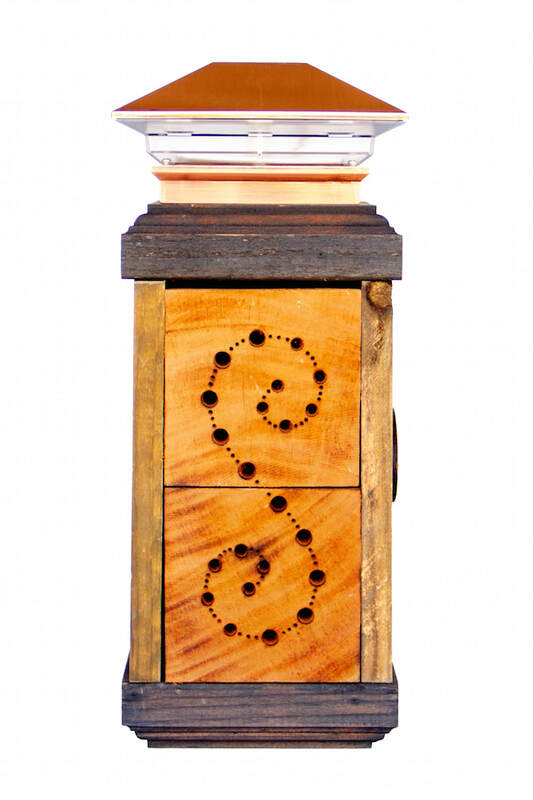 Shrine - Natural Wood Sides salvaged guitar wood insert $119. Shrine - Black Stain Sides salvaged guitar wood insert $119. Shrine - Red Patina Sides salvaged guitar wood insert $119. with habitat loss and pesticide use they are struggling to find safe shelter. Book & Bungalow Gift Set $59. Loft - salvaged guitar wood insert $39. T-Shirt - White on Black Tee $20. 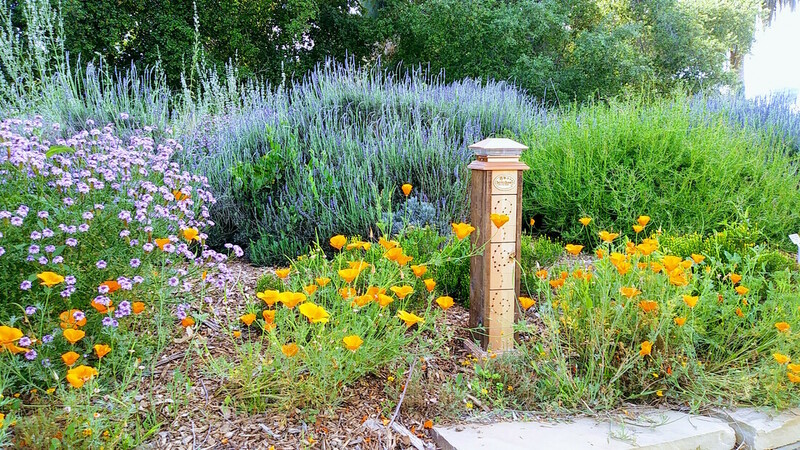 SoloBee Sponsors a Bee Friendly Garden at the Timken Museum in beautiful Balboa Park. SoloBee joined the Adopt-a-Plot program and installed a bee friendly garden near the Timken Museum. These colorful, drought-tolerant plants provide pesticide-free food and shelter for native bees and other pollinators that provide us with our delicious food.